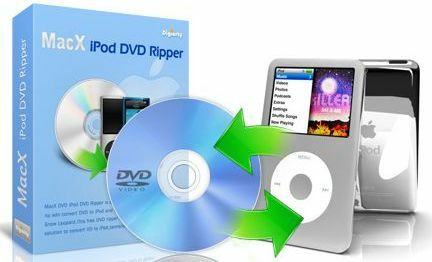 MacX iPod DVD Ripper, from Digiarty Software, is a professional, comprehensive and simple-to-use DVD to iPod converter, which is designed to transform DVD to MOV, MP4 and MP3 formats that are compatible with virtually all Apple iPod models including iPod touch (including iPod touch 4), iPod classic and iPod nano – all without sacrificing video quality. MacX iPod DVD Ripper normally costs $29.95 for purchase. As a Merry Christmas special promotion, Digiarty Software is giving away free copies of MacX iPod DVD Ripper full version to Facebook users. This time-limited Christmas giveaway promotion offer will be expired on January 10, 2011. The serial number or license code to activate and unlock the full version of MacX iPod DVD Ripper is contained inside the ZIP package.